We cater for the wider West Harbour area including Port Chalmers, Sawyers Bay, Roseneath, Purakaunui, St Leonards, Ravensbourne and surrounding areas. We are proud of our supportive environment and community and enjoy and foster a friendly whānau atmosphere. We believe in the value of learning in the great outdoors and with nature and run a programme called ‘eco-warriors’ where every child has a turn to visit the Orokonui Ecosantuary to experience ‘hands on’ learning every fortnight in this place for a term. 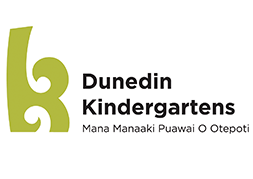 This is a kindergarten where our tamariki experience a nurturing learning environment where their individual passions and learning needs are welcomed and fostered. Formed in 1956, Port Chalmers Kindergarten opened in new premises in Albertson Avenue in 1957. In 2011 the kindergarten was rebuilt on the same site.